A cheaper version of the Apple iPhone 5 was rumored for a long time. The phone was rumored to be cheaper than the flagship iPhone’s and made out of polycarbonate with somewhat standard specifications. Many expected the iPhone 5C to be a cheaper iPhone 5. However, breaking down all rumors and speculations Apple announced their Apple iPhone 5C last week along with the iPhone 5S. The iPhone 5C is indeed a cheaper version of the premium iPhone with a polycarbonate body and last a generation specification list. The iPhone 5C mainly targets Asian markets such as India and China, where buying a premium iPhone device is considered ultra-luxury. Today, we will be taking you through a quick run-down through the specifications of the iPhone 5C. As said earlier, the Apple iPhone 5C is a cheaper, unapologetically plastic version of the original premium iPhone. Even though the body is plastic, it has a metal finish underneath giving a premium feel and finish to the phone. The iPhone 5C seems to be heavier than the iPhone 5 when held, and is available in more colorful variants than its big brother. Namely White, Red, Blue, Green and Yellow. The hardware specifications of the Apple iPhone 5C may seem as “Outdated” among iPhone enthusiasts. But the specs are still good, even though old. The Apple iPhone 5C comes with an improved A6 chip, and a better battery. Apple boasts the battery backup of the Apple iPhone 5C to be better than that of the iPhone 5. The iPhone 5C has an 8 MP camera with 3x video zoom and an HD front-facing Facetime camera. The Apple iPhone 5C also has the more LTE bands than any other Smartphone out there today. The Apple iPhone 5C targets the Asian markets with its reduced price tag and Apple branding, whereas it will also attract much more youngsters for the variety of colors it retails in. Nowadays even mid-lower end Smartphones are offering compelling specifications and features, and Apple tries to compete in the mid-lower end Smartphones section by the introduction of their Apple iPhone 5C. The Apple iPhone 5C indeed keeps all premium qualities and standards of being an Apple product. The only disadvantage being that it has a polycarbonate, plastic body. The complete body of the iPhone 5C is a uni-body construction, hence providing more fluidity in the design. 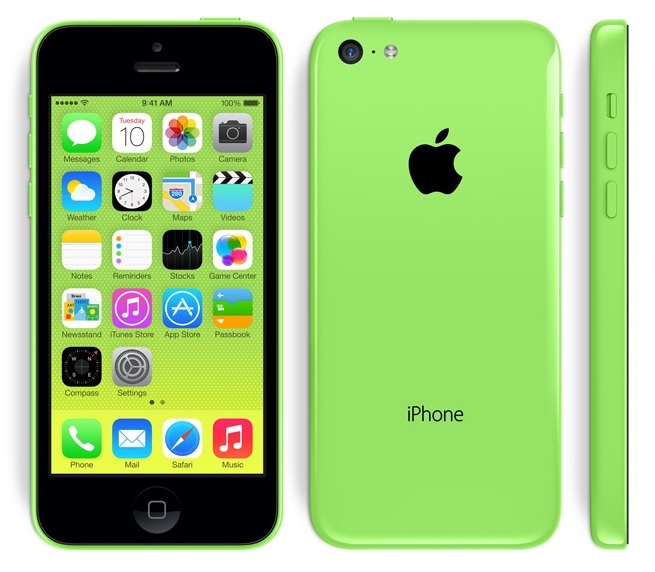 The specifications of the Apple iPhone 5C matches with that of the last generation Apple iPhone 5. However, certain improvements have been made in terms of camera performance, battery life and all of these with a comparatively lower price tag than the latest Apple iPhone 5S. The Apple iPhone 5C is in no way a cheaper iPhone, but is different from its bigger brother in terms of design and colors available. If you’re looking for a colorful iPhone, that complies with your rough working environment, then you’ll surely love the Apple iPhone 5C.